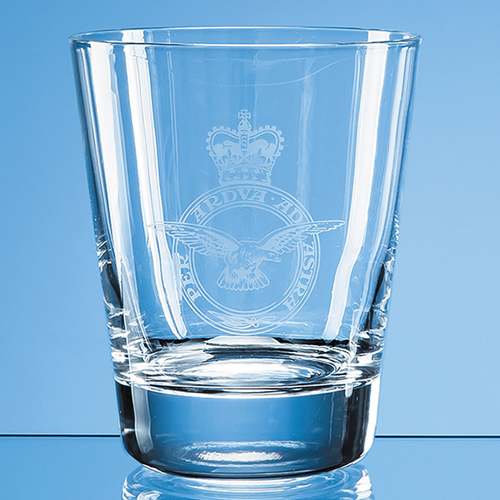 A treasured memento for whisky lovers or a branded water or spirit glass for a corporate event? The choice is yours. A classic, clear 400ml glass Elegant whisky tumbler is the ideal keepsake or gift for occasions such as a work farewell, event memento, retirement gift, thank-you, engagement or wedding. Alternatively, it could be used to brand presence at corporate events. It has an engraving space that can be personalised with a logo, crest or message to suit. Available as an option is a beautiful presentation box with blue satin lining.